for Children, Infants, Tots and Toddlers! 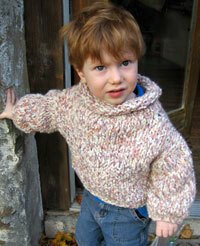 Liam in Oatmeal - so handsome! 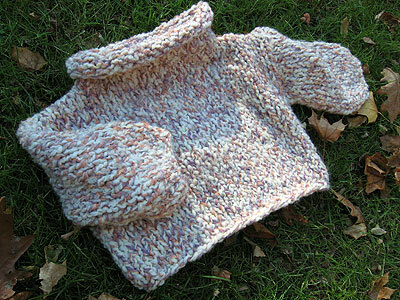 A great kids sweater: with its wide neck and generous cut, it's comfy and cozy and also incredibly practical. 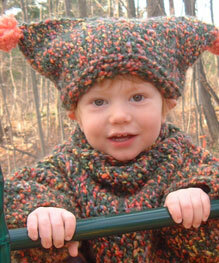 Pair it with a matching hat and it makes a great gift that keeps winter chills out! Oh-So-Soft Merino Wool hand knit baby sweater, toddler sweater, big or little kids sweater. 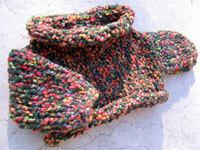 This funky, chunky hand knit toddler sweater features a multifcolored yarn that is lightweight, yet warm, and fun to wear. 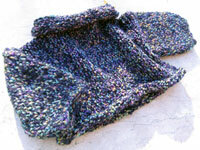 It repels water (Merino Wool is good at that!) and because it's a blend, when it gets wet, it dries quickly., Great for kindergarten and for hiking --oh, and falling asleep by the fire! Merino makes it soft and NOT itchy! What goes GREAT with a Snuggle Sweater?